Richard "Bub" Poulton was last seen at his home on the evening of October 20. OAKLEY, Idaho — A $5,000 reward has been offered for information leading to the recovery of an Oakley man who has been missing for more than two weeks. 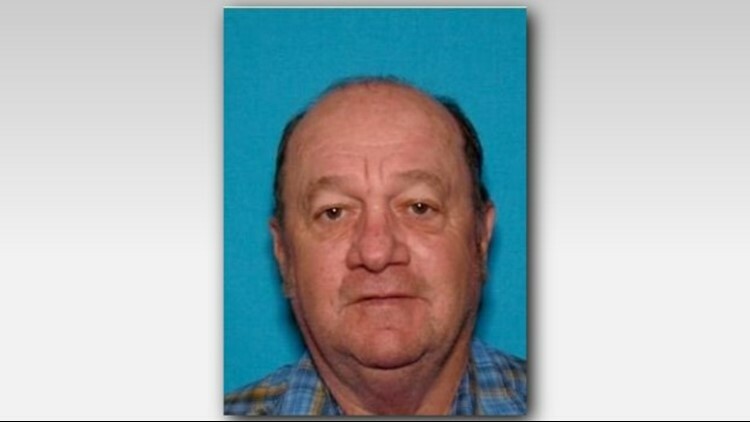 The Cassia County Sheriff's Office says 66-year-old Richard "Bub" Poulton was last seen at his home on the evening of October 20. The next morning his vehicle was found high-centered in a beet field off of West Milner Road in Cassia County. According to officials, Poulton suffers from a mental condition and may be disoriented about where he is. Anyone with information on his whereabouts is encouraged to call the Cassia County Sheriff's Office at (208) 878-2251 or Crime Stoppers at (208) 878-2900. Poulton's family is offering $4,000 and Crime Stoppers is offering an addition $1,000 for information leading to his recovery. Poulton is described as being 5-foot, 9-inches tall, 170 pounds, with hazel eyes and brown hair.